politicalbetting.com » Blog Archive » Can Cameron afford to take on middle class women? « Will the leaders be crucial again in 2015? Can Cameron afford to take on middle class women? There is nothing more terrifying in politics than middle class women. Men grumble, shout at the telly or newspaper, frequently swear and eventually forget what was bothering them. Middle class women are entirely different. They get organised, set up campaign groups, use the internet, issue press releases, harangue their MPs and challenge national politicians in front of the nationâ€™s media without batting an eyelid. And they remember. As Sir Humphrey would point out, David Cameron and George Osborne are â€˜courageouslyâ€™ intending to propose increasing pension contributions in the female dominated public sector, make women work longer only for them to receive less when they do retire. The institutions and sector many middle class women work for are derided by Conservative MPs and denigrated by a right-wing press. The services they disproportionately use are harmed by cuts, their family benefits are being limited and the living standards of their families are being squeezed. The strike action on Thursday involves three education unions in sectors with twice as many women as men and each with a female leader. They are professional and articulate middle class women. ATLâ€™s Mary Bousted is no Arthur Scargill. Put her in front of a TV camera and sheâ€™ll speak directly to millions of other middle class women in a reasonable but determined manner. What should really worry the Government is not the planned industrial action on Thursday. How many take part or how many schools are closed is of course of interest as is whether parents without CRB checks will take-up Michael Gove’s controversial suggestion to run the classes for a day. Arguably what should be keeping Conservative Ministers awake at night is the inevitable electoral fallout if policies which disproportionately affect women continue to be implemented. Do they really want thousands of women in marginal constituencies to be reminded in every payslip they are paying an extra Â£100 for their pension for less in return? They are the ‘squeezed middle’ and will be livid. If Labour’s lead among women grows then a Conservative majority at the next election could soon be out of their grasp regardless of how the economy performs. Thursdayâ€™s planned industrial action is not a re-run of macho union struggles of the 1980s. 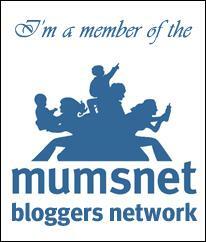 This is Mumsnet with placards. The government’s proposals are of electoral significance and the beginning of one hell of a headache for David Cameron.